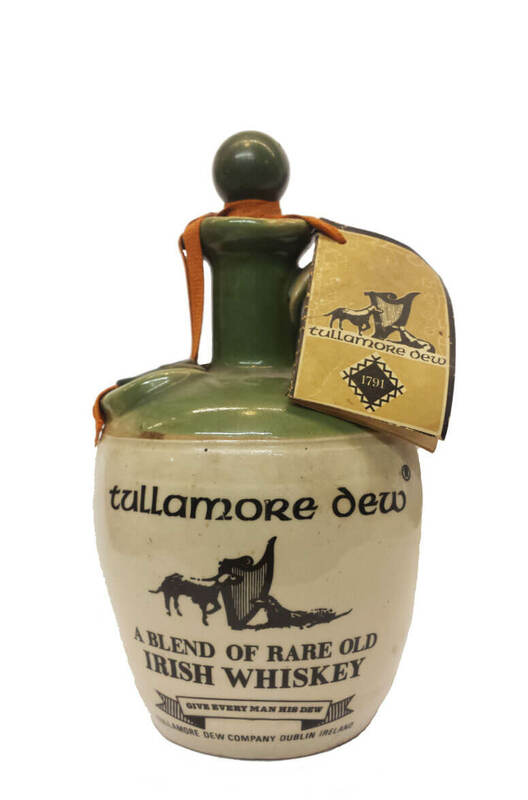 This is an old bottle of Tullamore Dew. The crock is an old stoneware jug and is larger than the more commonly available old crocks in the same design. The labelling describes it as being distilled in Dublin. This therefore dates from a period when the whiskey was made at the old John's Lane Powers Distillery and will have been made some time between the mid-1950s and 1970s. There is no statement of volume or alcoholic strength.